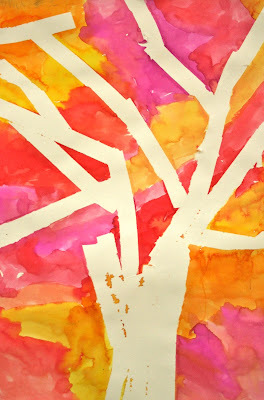 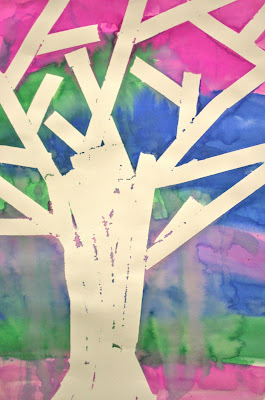 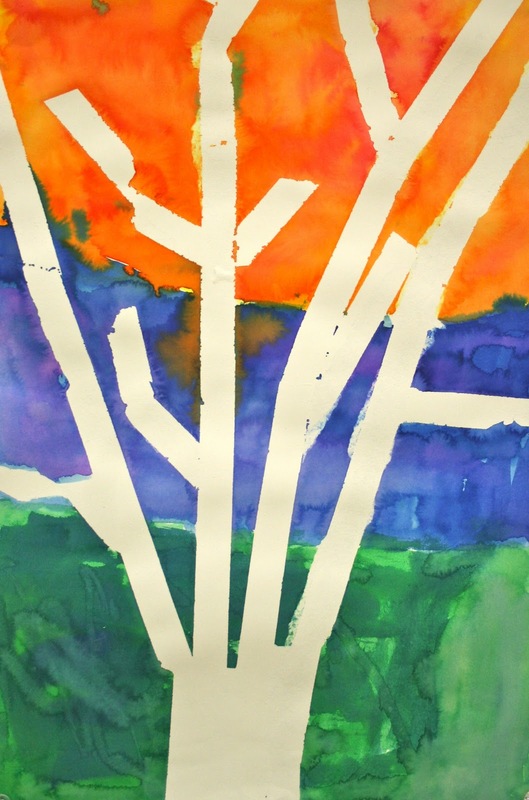 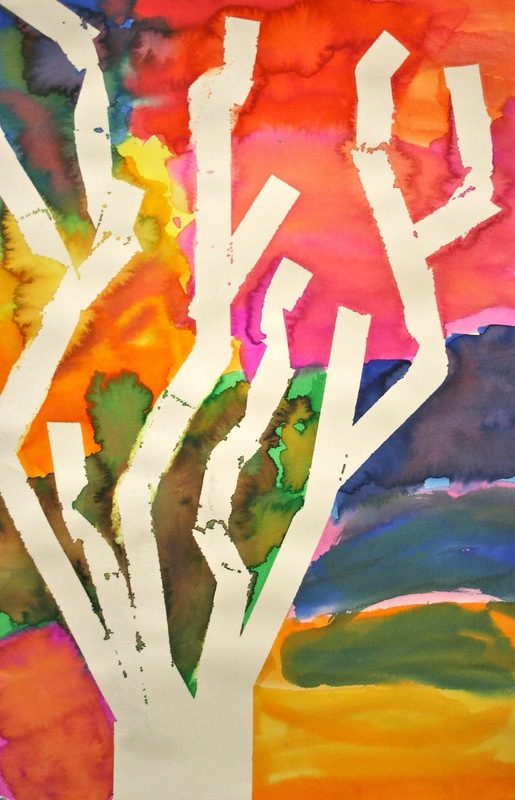 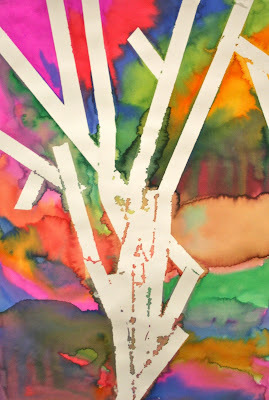 Third grade classes at Emerson used masking tape to mask out the shapes of trees and liquid watercolor to paint the negative spaces around them. 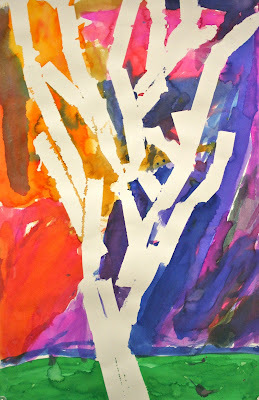 The finished paintings made a colorful display on our hallway bulletin boards. 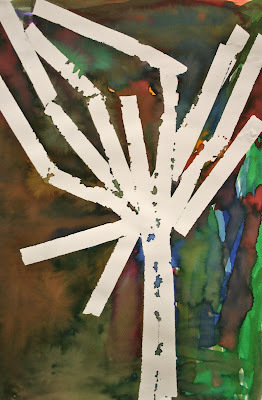 Did the paper tear at all when you took off the masking tape?